Fun hands on intro into right angles! 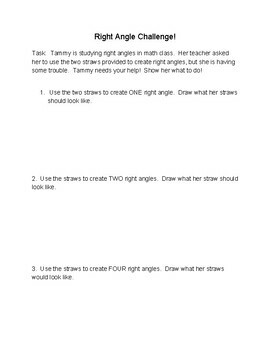 Give each student/group 2 straws. Using the straws have them try to create 1 single right angle, then 2 right angles, then 3 right angles. 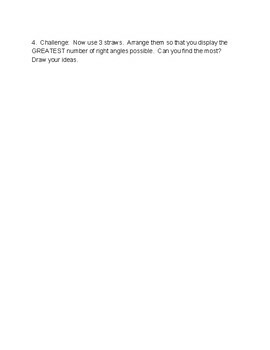 In the final question they will be asked to use three straws and make the greatest number of right angles possible.